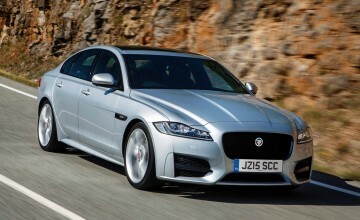 SMOOTH and sporty; it's a mixture owners of Jaguar saloons have been tempted by for decades. 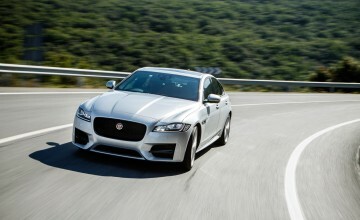 Nowadays, while Jaguar's expanding range of SUVs might make the headlines (and the bulk of sales and profits) there's still a trio of saloons with the Coventry cat on the front. 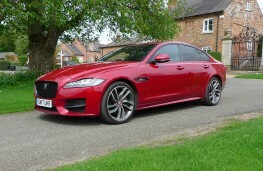 Biggest is the XJ, an attention seeking shape even years after launch. 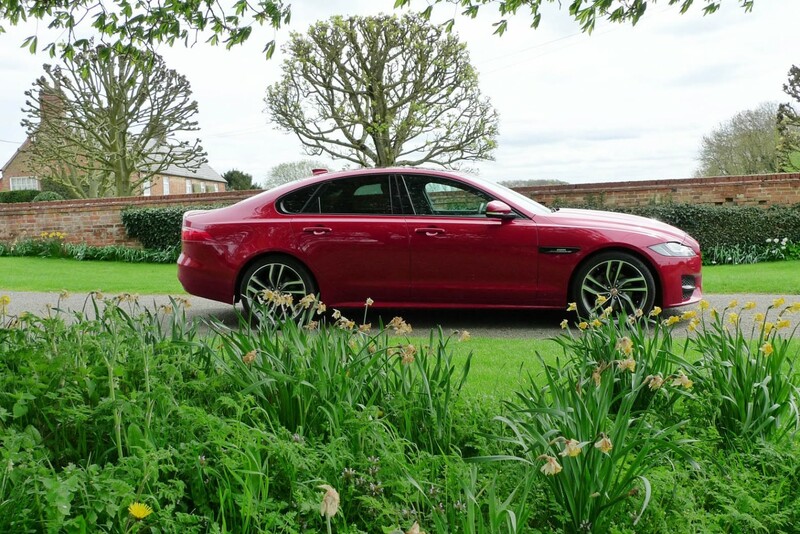 Smallest is the XE and sandwiched between them is the XF; both are more conventionally handsome machines than the XJ and both aimed squarely at the company car park. 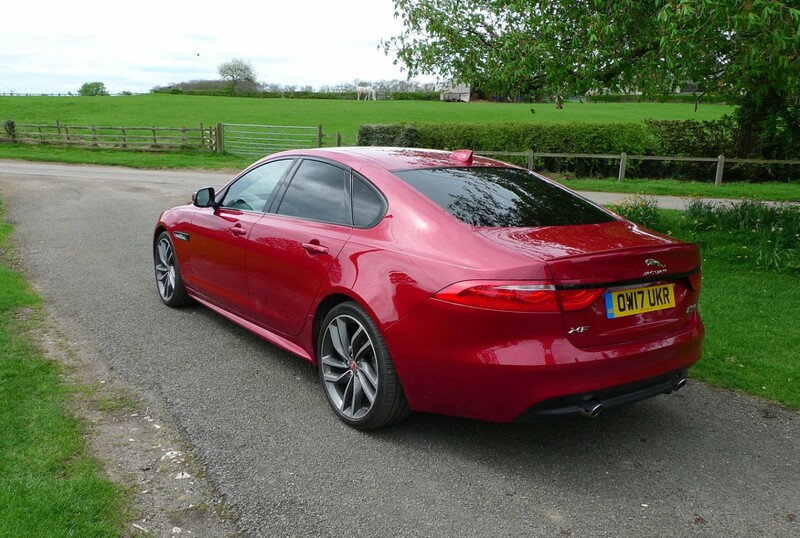 Both also look like clones from the same parents, the XF being a little longer, wider and heavier than the XE but with the same diesel engine on board and in similar R-Sport specification a mere £1,775 apart on price. 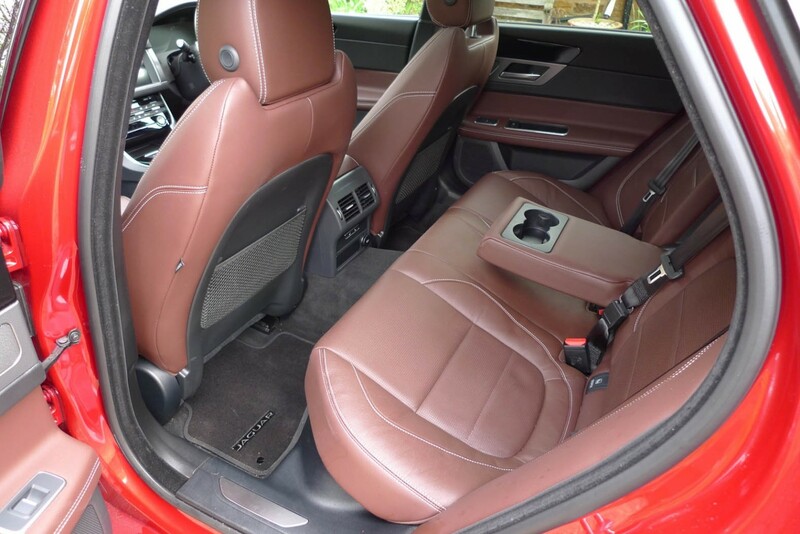 The XF has extra space in the back seat, where the XE might feel a bit pinched and the boot is bigger too (540 litres plays 455 litres, but both look generous) and either model will whisk four people and their luggage the length of the country in some style and comfort. 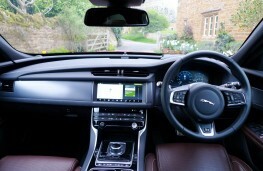 Just how comfortably might come down to precisely which boxes you've ticked on the order form. Jaguar's design chief thinks his cars look better on big wheels (they do) and this car's were £2,095 of 20-inch alloys in place of the standard 18-inch items. 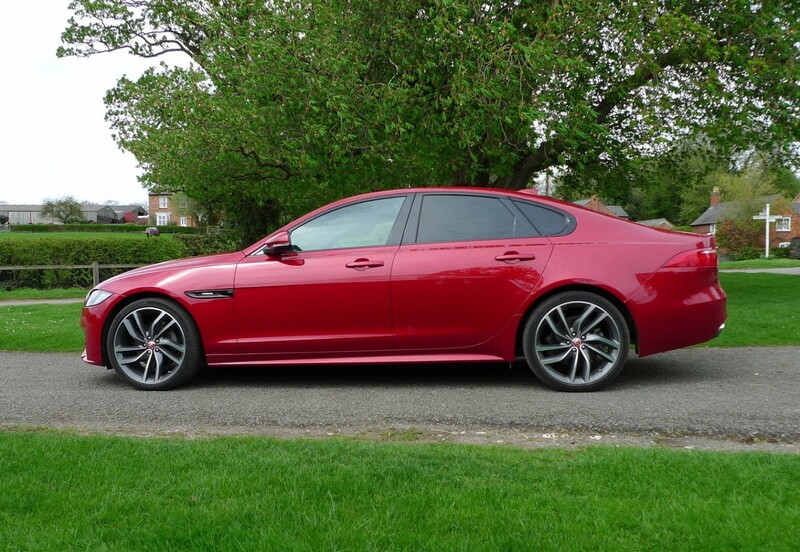 Add their lower profile tyres to uprated R-Sport springs and you have a car that's less happy than you'd hope for on anything but a perfect road surface, both coarsening the ride and raising its voice over rougher roads. Don't demand too much from the potent diesel beneath the bonnet and there's merely a muted growl as you make decent progress; push it further and things turn noisier. 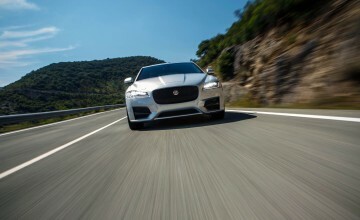 Mid-pace speed on smooth roads let this particular spec'd XF give of its best with a near silent cabin and seats (in love 'em or loathe 'em optional tan leather) that support in all the right places. 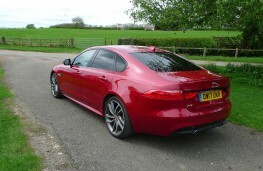 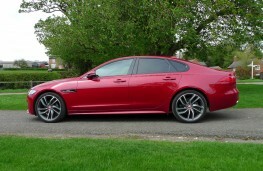 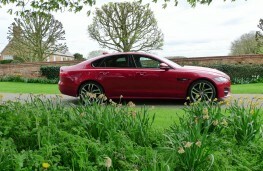 Given its head, this version of the XF gets a move on with a zero to 62mph time a tad over six seconds. 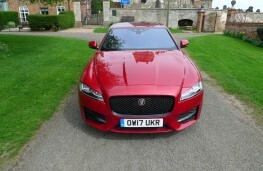 It also attacks corners with relish in proper sports saloon style - and 41.2mpg over 500 miles was another tick in the 'like' boxes. 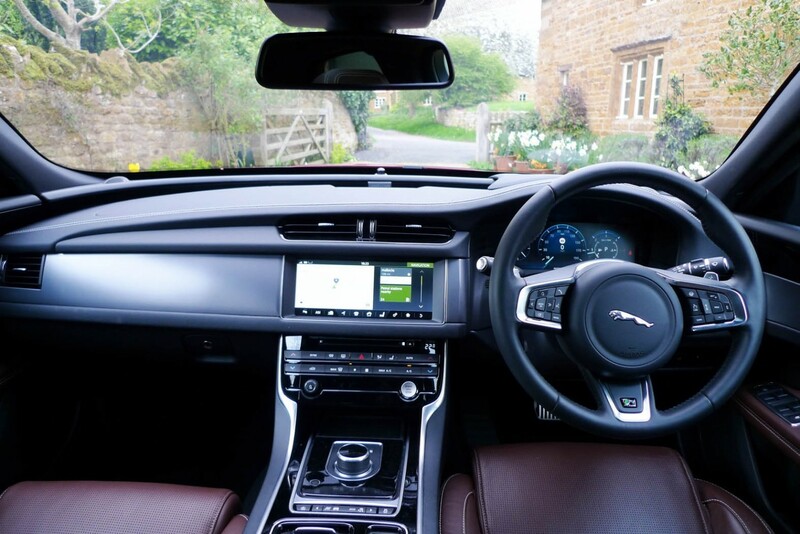 Jaguar has carried over a couple of theatrical touches from original to current XF interior with dashboard air vents that whirl open and gear selector that winds up from the transmission tunnel when you push the starter button. Big, clear sat nav and instrument panels look properly modern, if lacking the ultimate style of a Mercedes E-Class competitor but the R-Sport additions on the outside (sport front bumper, side sills and boot spoiler to the fore) lend a touch of track aggression an owner will love. 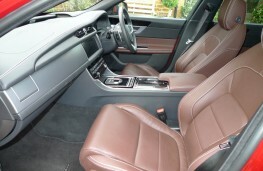 Standard spec won't disappoint either, with all-wheel drive, eight-speed automatic gearbox, cruise control and leather trim part of the package. 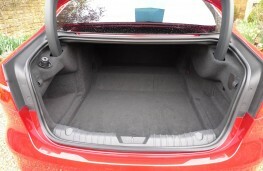 You might want to find a little more for a space saver spare wheel and rear parking camera.